Indane Gas Booking has been made simple by Indian Oil with the launch of newly Automated Unified System of refill booking for the Indane customers. You can book for a Indane Gas cylinder refill anytime through the SMS and IVRS systems to the given Indane Gas Booking Phone Number. Let us see how to book Indane Gas Refill Cylinder through IVRS and SMS options. All you need to know the right Indane Gas Booking Number. 1. How to book Indane Gas through IVRS system? 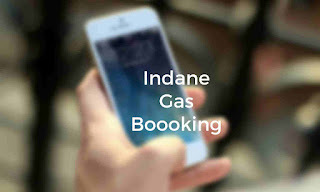 If you are booking Indane Gas through IVRS for the first time, Dial the Indane Gas Booking Phone Number given below from your landline or mobile. Enter the phone number of your distributor with the STD code. Select the options for booking refill. The Indane Gas booking IVRS will ask you to register your phone number. The system will provide reference for refill booking. Dial the Indane Gas Booking Number given below from your landline or mobile. Three options will be given 1) refill booking 2) registering your complaint 3) status of refill booking. To book Indane cylinder, press 1. 2. How to book Indane Gas through SMS system? There are 2 different processes to be followed by Delhi customers and other customers. For first time users, SMS IOC < STD Code + Distributor's telephone number > <Consumer Number> to the appropriate Indane Gas Booking Number. Example: If Distributor's telephone number is 2222 and STD code is 11 and consumer number is ABCDE, send SMS the following to the Indane Gas Booking number(check the table below for your Indane Gas Booking number for your area) - IOC 112222 ABCDE. For future bookings - send SMS IOC to the Indane Gas Booking number. If not already done, register your mobile number through IVRS system mentioned in the first section. SMS IOC to the Indane Gas Booking number. Hope you find the article Indane Gas Booking Number IVRS Refill and SMS Booking Phone Number useful for you.